Hey, ya'll hey! Sorry I've been a little M.I.A but school and studying for the NCO of the Month Board consumed my life. But I'm back! I have been getting a ton of questions about the makeup items I currently use in my routine. I've switched out all my old holy grails and decided to try out the new and popping stuff on the market. Continue reading to learn more! Let's get this started! Since it's basically spring, I decided to switch up my products. Plus I wanted to try new hyped up products. This is also a review of some of the items. First and foremost, I have combination skin which means I struggle with an oily T-zone and a few dry patches. I also struggle with hyperpigmentation and so far these products work for me. Anastasia Beverly Hills Dipbrow Pomade "Ebony"
MAC Studio Finish Concealer "NC45"
The Nars "Natural Radiant Longwear Foundation": This is LIFE! It took me two tries to find my perfect match, Macao. I did order this online when it was first released and ever since then I haven't put it down. This is a full coverage foundation and the finish is perfect! The Nars "Radiant Creamy Concealer": This concealer has been out forever but I was always scared to try it out... because of the price! I finally gave in and have been in love ever since. Caramel is the perfect shade for me to highlight with. 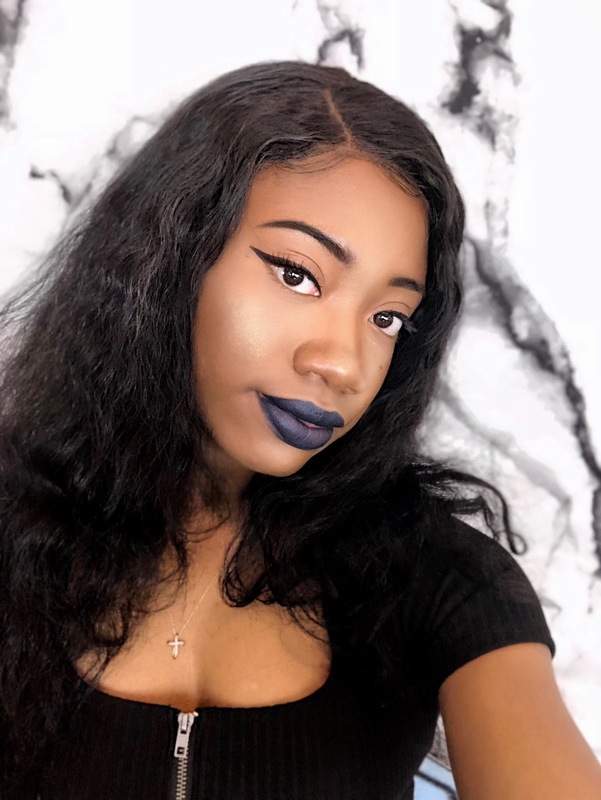 Black Radiance True Complexion Contour Palette "Medium to Dark"
Sephora MicroSmooth Powder Face Foundation: I was in search of a new all over face powder because the one I used from MAC was getting pretty old and it doesn't work on my skin anymore. I heard about this product from one of my favorite YouTubers, Alissa Ashley. 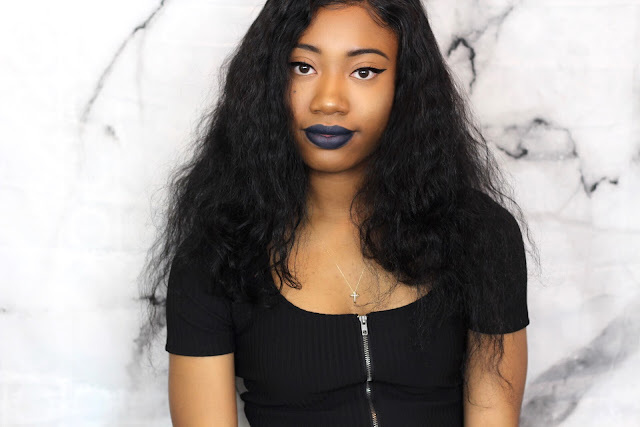 Her tutorials are amazing and she has raved about this product forever. So why not try it? I just wished it came in more shades. Fenty Beauty "Killawatt Freestyle Highlighter Duo": Ya'll already know I'm a huge fan of Rihanna and all her business endeavors. At first, I thought this particular highlighter wasn't going to show up on my skin tone but guh... let me tell ya. HU$TLA BABY is the way to go! It's a universal shade for everyone. Most definitely worth the coins. 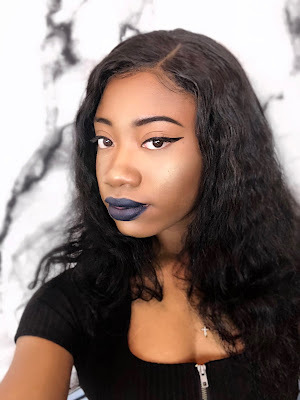 Urban Decay All Nighter Makeup Setting Spray "Long Lasting"
Kat Von D Tatto Liner "Trooper"
Fenty Beauty Mattemoiselle Plush Matte Lipstick "Clapback"
To purchase everything, check out all the links below! Of course I had to go out with a bang with dark lipstick lol I think I'll be using these products throughout the spring and summer. Gotta get my money's worth! What's a new product that you love and think I should try? Comment down below. Until next time.